The very cold weather we’ve experienced this season, mixed with a few warm days, has really taken a toll on our roadways. Some of the potholes on the road are already like craters on the moon, while other are getting larger every day that traffic drives right through them. As the potholes grow, the damage to your vehicle becomes a safety risk and can take a chunk out of your wallet. 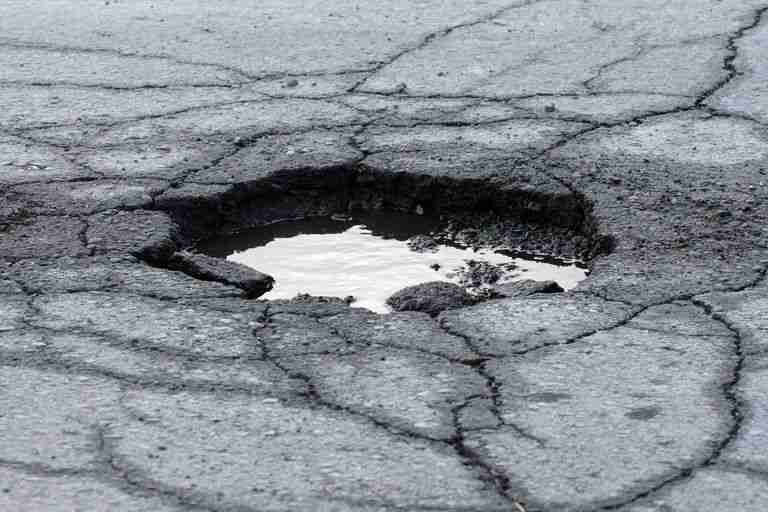 If you’re driving through a pothole every day on your commute, you might see flat tires, bent rims, suspension damage, steering damage, or even damage to the body of the car. Potholes can even knock your car out of alignment, which will affect the way the tires wear and can lead to replacing tires before earlier than expected. What if you drive directly into a large pothole? Be on pothole patrol! Looking ahead of you and noting where they are will help you avoid the pits in the roads. On more heavily traveled roads, the constant traffic kicks up pavement. Existing potholes can grow larger and cause even more serious damage in just a few hours. And YES, they can pop up over night, so paying attention on a daily basis is critical to your safety. What can you do beyond attempting to avoid these nasty craters? The first line of pothole defense is proper tire inflation. Low tire pressure can cause bulges or blisters to the tires’ sidewalls, and even dent the wheel. These problems will be visible and should be checked out as soon as possible, as tires are the critical connection between your car and the road in all sorts of driving conditions. Before you make an evasive maneuver, be aware of traffic around you. Use your mirrors and consider whether to straddle the hole or go around it. Don’t have an accident just to avoid a pothole. If a pothole can’t be avoided, keep your steering wheel straight. Slow down and drive carefully through the pothole. Allow the tire to roll through the pothole. Traveling at full speed or slamming on the brakes can cause major damage, leaving you possibly on the side of the road. 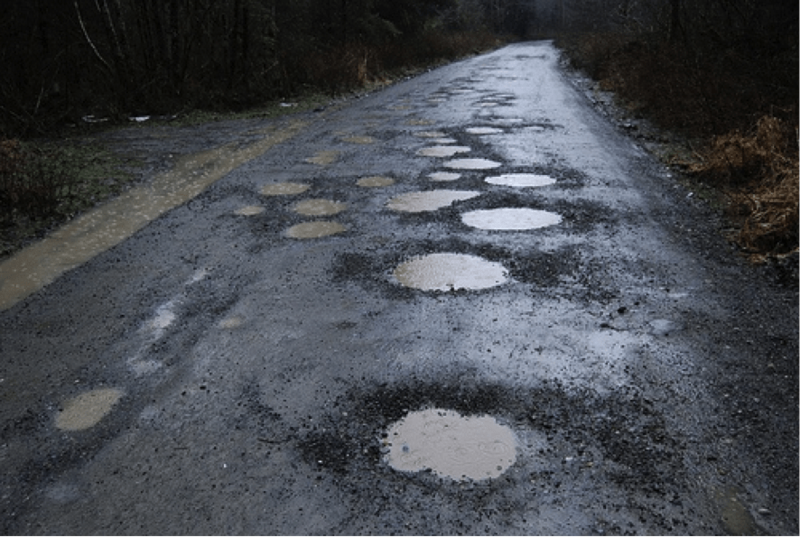 Worst case scenario, if you have recently hit a pothole and heard the scary THUMP; it’s time to see an ASE certified technician to inspect your suspension, undercarriage and tires for damage.